To put it simply, anime is the abbreviation of the word “animation” and basically, refers to every kind of animation produced in Japan. However, inside Japan, the term anime refers to any kind of animation, be it Japanese or not. In the beginning of the 20th century, Japanese film makers started to experiment with western animation techniques. The very first anime dates back to 1917 and was a 2-minute movie about a samurai, who wanted to try out his new weapon. As time went by, anime was changing, and started, may I say, ‘evolving’ in 1960s. Since then, anime started “growing”, and became popular, as well as Japanese comics called manga. A big role in this development belongs to Osamu Tezuka, whom is called a “Legend” and “God of manga”. Anime gained acceptance outside of Japan in 1980s and continues to gain popularity on overseas markets to this day. There are a lot of different genres in anime, determined by the viewer’s age or inerest. Classification based on the age of the audience: Shoujo(少女;Shōjo) – Is the type of anime that is targeted on a teen, female audience. All of Shoujo anime are also in a “Romance” genre. Shounen(少年; Shōnen) – Is the type of anime that is targeted at a teen, male audience. Kodomo(子供; Kodomo) – Anime for children. Seinen(青年; Seinen) – Anime for men and Josei(女性; Josei) – Anime for women. 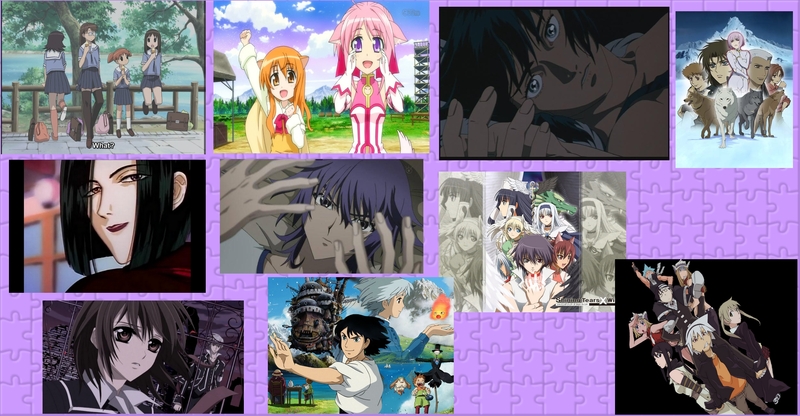 From left to right: Azumanga Daioh; Dog Days; Ghost in the Shell; Wolf’s Rain; Petshop of Horrors; Shiki; Shining Tears x Wind; Vampire Knight; Howl’s Moving Castle; Soul Eater. If you have a question, please, feel free to ask me, I will answer you as quickly as I can! ^^ Also, I hope, that this explanation was helpful and interesting! !